- Welcome to Ashley with Hallelujah The Hills and at Soft Speaker at the Empty Bottle – 10 p.m., $8. More info and tickets. - Drummer with Royal Bangs at Schubas - 10:30 p.m., $12, 21 and over. More info and tickets. - Lucero with Amy Lavere and Cedric Burnside & Lightnin’ Malcom at Bottom Lounge - 8 p.m., $16, 18 and over. More info and tickets. - David Bazan with Say Hi… at Lincoln Hall – 10:30 p.m., $15, 18 and over. More info and tickets. 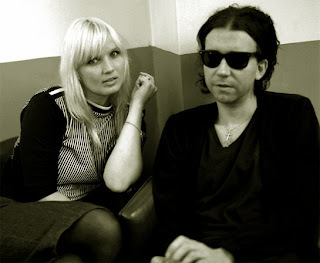 - The Raveonettes at Metro – 8 p.m., $18. More info and tickets. - Ted Leo & the Pharmacists with The Jai Alai Savant at Lincoln Hall - Official grand opening event. 8 p.m., $15, 18 and over. More info and tickets.